1in5 will transform the organisation through developing its space, people and programme. Using currently inaccessible space within the existing footprint of the building, 1in5 will create an inspirational 200-capacity multipurpose Live Science Theatre, a new 400m2 sensory exhibition, an improved and accessible planetarium and provide high-quality accessible facilities. 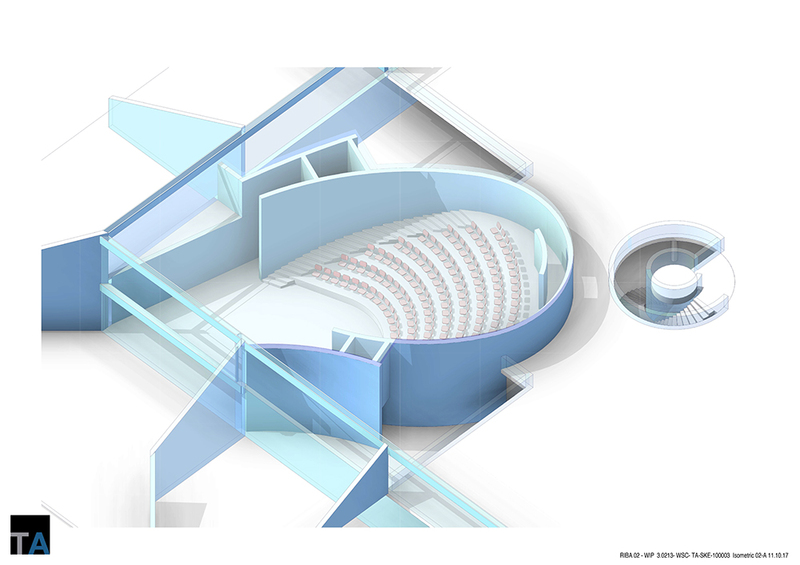 Please click here to download architectural drawings of the Live Science Theatre as a PDF. One of the most exciting aspects of this project is the creation of this new multipurpose performance space right at the heart of the Science Centre. Putting people at the centre of the visitor experience, sparking curiosity in STEM and leaving a lasting impression. 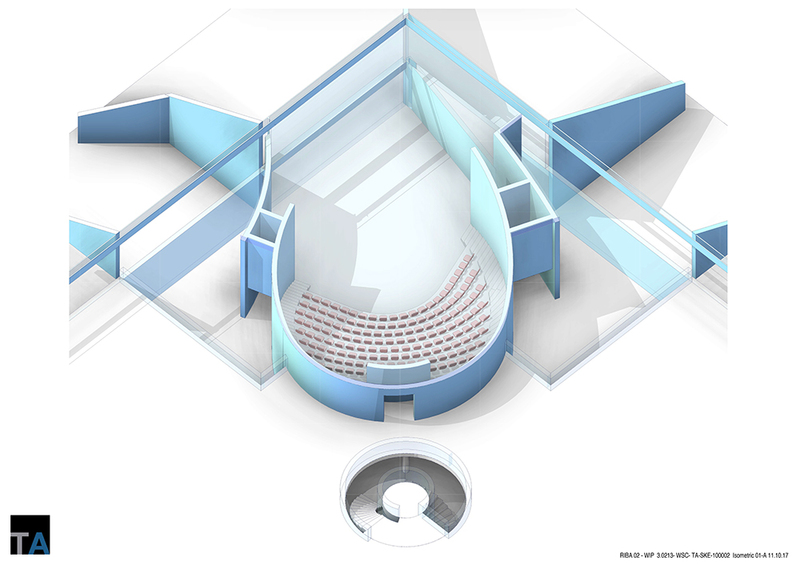 The Live Science Theatre will provide a stage for arts, science, community and corporate events. Programmed in collaboration with partner organisations, the theatre will bring new audiences and income to the Science Centre. Its creative design maximises currently unused space and takes full advantage of stunning views across the South Downs National Park. The new exhibition space will provide an innovative, engaging and fully accessible sensory STEM exhibition utilising 400m2. Developed in partnership with community groups and the University of Southampton, the exhibition will explore disability, showcase the achievements of STEM in improving lives for those with a disability, and put a spotlight on the work of disabled people in STEM. 1in5 provides critical investment to the planetarium to ensure its future and create an inclusive and accessible space for all. Replacement of the planetarium system will put an end to the need for constant and costly maintenance and enable more dynamic and flexible programming. 1in5 includes the generation of designated reserves for planetarium maintenance through a levy, ensuring the long-term survival of this unique resource. 1in5 will fund necessary improvements to ensure that all visitors are welcomed.